This is a reasonably large place with a few separate seating areas for are punters. On the bar there was Deuchars IPA, JW Lees Atomic Ale, Leeds brewery Gingerbread Stout, Wychwood Dryneck, 4 pumps were left unclipped which seemed a shame. I went for the Dechars at 3.30, quite a decent pint and in good nick. They advertise that they do a CAMRA members discount (50 p on pints, 20 p on halves) There's also plenty of spirits behind the bar. It seems to be a place that is bog on Deuchars as there are posters dedicated to it. I have also heard that Theakstons Old Peculiar is meant to be regular here and I have had here before but was not present on this occasion. 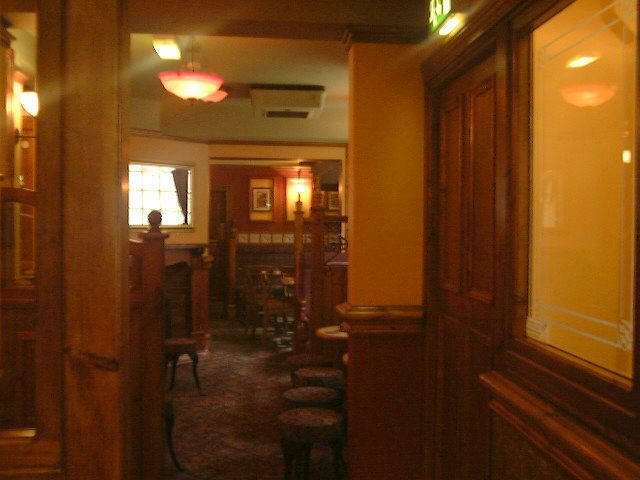 As a place I would say it is the best for the pubs in immediate vicinity of Oxford Road and it is certainly an old building. It would be a shame if it was demolished as the last poster says. Due to be demolished don't know when but it's something to do with extending Oxford Road train station. Such a shame, why can't they do what they did for shambles raise it and move it,we are losing too many impressive buildings to grey miserable characterless contraptions. 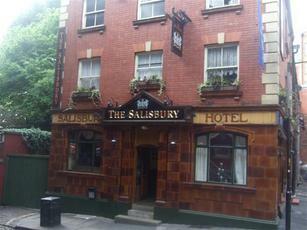 Another striking pub exterior, coupled with a comfortable but standard interior. A medium size crowd on a Saturday afternoon watching Olympic highlights (spoiler alert: this review is 6 weeks old). A nice pint of Deuchars IPA (3.30), and the bar bloke coupled his efficient bar service with cleaning the prints scattered on the pub walls, spectacular multi-tasking. 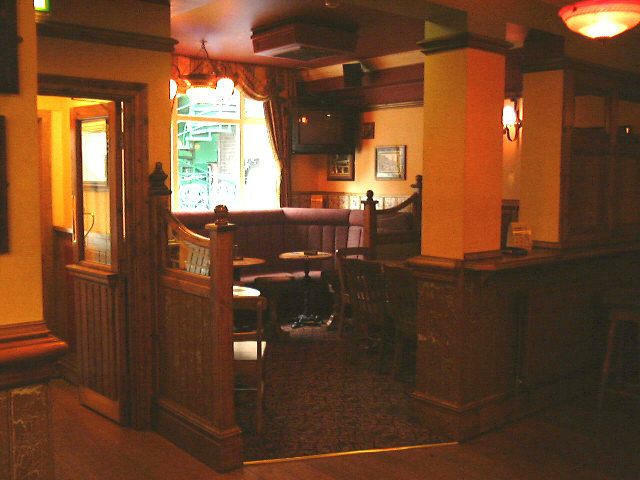 Not a stand out pub but a comfortable one. Had the opportunity to call in a couple of times recently while waiting for a train, so thought it about time I updated my review. A couple of weeks back, the hand pumps were offering Caledonian Golden XPA, Caledonian Deuchars IPA, Robinsons Trooper, Theakston Old Peculiar, Wainwright (if I remember rightly) and Hobgoblin. 8 pumps in total with 6 in active service. 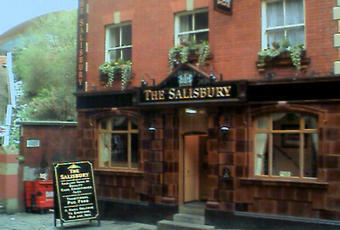 I had the Golden XPA at £3.30 for the pint and found a nice quiet corner to relax in with my pint. The Golden XPA was lovely - would recommend it. Visited again a couple of nights back, the selection had changed but again there were 6 of the 8 pumps available. I didn't note all the ales but the Double Cross IPA by Theakston took my fancy. I also noticed there was at least one dark ale available. Unfortunately the Double Cross IPA was a bit of a let down - I could not identify any of the hoppiness claimed by the pump clip and to be honest it just reminded me of a mediocre pint of Theakston Best Bitter but a bit paler. Blander and creamier than I would have expected - disappointing. One to avoid next time. The pub was busier than my previous visit but I managed to find a corner to perch at. Would still recommend the pub and would happily call in again for a pint. Very busy when I called in on Monday night. Good selection of real ales on the bar. Tried a pint of Regimental IPA which was good. 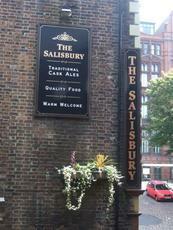 Good pub and hope to call in again soon.